On the morning of October 30, 2018 in Ha Noi, Vietnam Women’s Union(VWU) and Cuban Women's Federation (FMC) held talks and signed the cooperation agreement for the first time for the period 2018 – 2022 in order to further strengthen the friendship and cooperation between the women of the two countries. At the ceremony, Mrs. Thu Ha, VWU President warmly welcomed the delegation and congratulated the Cuban Party, State, people and women for their achievements in building and protecting the country. She also expressed her admiration for the spirit, willpower and efforts of the Cuban people and women to have overcome the difficulties and develop their country. She also highly appreciated the cooperation between the two Women's Unions so far; affirming that the meeting and signing the cooperation agreement is an important milestone that will formalize and enhance the relationship between the two organizations. At the same time, she expressed her desire and trust in the cooperation between the two organizationsto be better and better, also the Vietnamese and Cuban women are increasingly developed, uphodling their role in the national construction. On behalf of the FMC, Mrs. Teresa Maria Amarelle Boue expressed her deep gratitude to the Vietnamese Party, Government, people and women for their help and support to Cuban women. Besides, she also pledged that the FMC would intensify the propaganda and education for their members as well as the younger generations in order to preserve and develop the traditional friendship between Vietnam and Cuba, especially between the organizations and the women of the two countries. At the talks, the two sides shared openly about the issues of concern. The Cuban delegation has updated the situation of women in politics, supporting women in the development of their talents, women in scientific research, political and ideological education, the leadership of the Communist Party of Cuba over the women's movement and the FMC. The VWU shared experiences on resource mobilization, and coordination mechanism between VWU and State management agencies on gender equality, women related issues. The two organizations also signed the first cooperation agreement after many years, focusing on the exchange of delegations, exchange of information, education of Vietnam-Cuba relationship; co-organization of conferences, seminars, exchanges of experiences and good practices on the women's movement; fostering cooperation between units of the two organizations (Women’s Museums, Publishing Houses and Women’s Academies); and intensifing coordination on international forums. On this occasion, the delegation was warmly welcomed by Ms. Truong Thi Mai, Member of the Politburo, Secretary of the Party Central Committee, Head of the Central Commission for Mass Mobilization, President of the Vietnam-Cuba Friendship Association. At this meeting, Ms. Truong Thi Mai expressed her pleasure to witness the development of the traditional friendship between the two countries and the two women's organizations. She also wished the women's organizations of the two countries to effectively implement the signed cooperation agreement, increase the sharing of information and experiences, promoting staff training and actively cooperate with each other in international and regional forums. 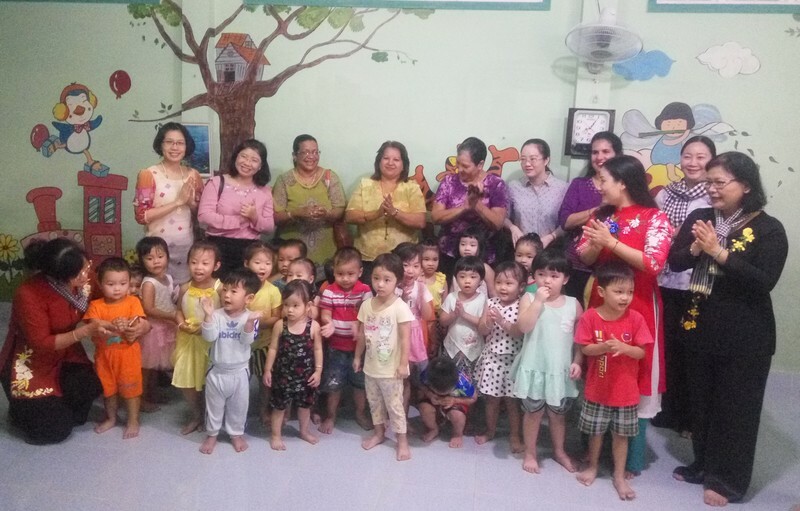 The delegation visited Ngoi Sao day-care center in Hochiminh city. During their stay in Vietnam, the delegation offered flowers to President Ho Chi Minh at his Mausoleum in Hanoi, visited and explored many models of women, especially in the fields of economic development, visiting historical and revolutionary sites that associated with the two countries’ relationship in Ho Chi Minh City, Lam Dong, Hanoi and Hoa Binh. In particular, the delegation attended amember meeting of women’s union and cultural exchange in Kim Boi district, Hoa Binh province. The visit of the delegation has ended successfully, contributing to enhancing the traditional cooperation and friendship between the women of the two countries as well as the two organizations.